c/o Nihon Tetra Pak K.K. 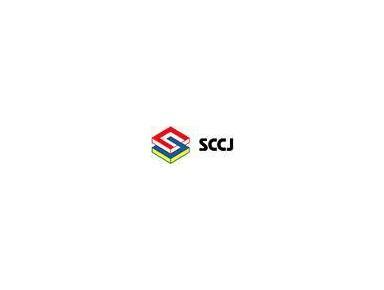 The SCCJ is the Swedish Chamber of Commerce and Industry in Japan. The chamber's establishment was formally approved by the Japanese Ministry of Industry and Trade in March, 1992, and its inaugural ceremony was held in September of the same year. The main purpose of the SCCJ is to promote the development of commerce between Japan and Sweden. In line with this, SCCJ works for its members through a variety of regular activities planned by its committees, often together with the Embassy of Sweden and other Sweden-related institutions. The SCCJ aims to increase its members' understanding of Sweden-Japan business and relevant market practices in Japan. SCCJ strongly advocates the strength of Swedish industry, technology and management culture. The SCCJ aims to strengthen the existing network among all its members for the exchange of information and other mutual benefits. The SCCJ supports the continued deregulation and harmonization of the Japanese market through its participation in the European Business Community in Japan as well as through other relevant channels.